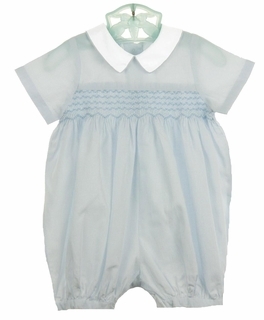 This lovely little smocked bubble style romper is made by Sophie Dess, a leading French designer of classic children's clothing. Made of white cotton with tiny blue checks, it features full bubble styling with a back buttoned closure. 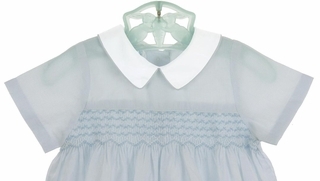 The yoke is skillfully hand smocked with blue and white embroidery. 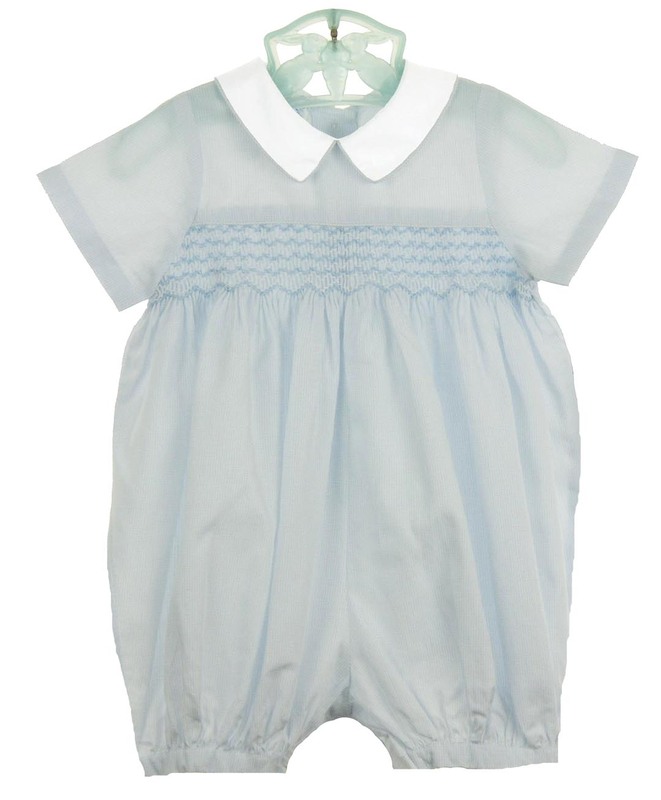 The romper is styled with a white Peter Pan collar edged with blue checked piping and short sleeves. The leg openings are finished with cuffs and are elasticized in the back with snaps in the crotch. Size 3 month shoulder width=7"